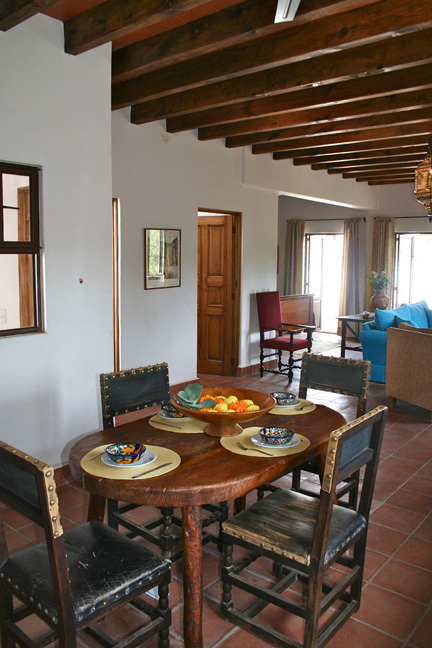 Have an unforgettable experience in one of Mexico’s historic Pueblos Magicos at this newly and sensitively restored casita in the very heart of Mineral de Pozos. 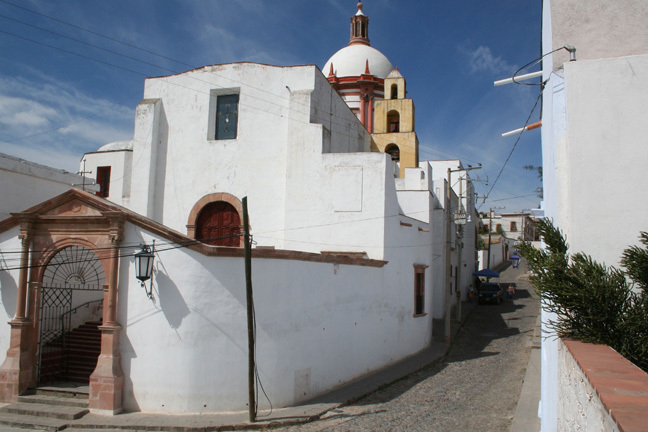 The casita is located in the center of town, in front of the historic San Pedro Church and just twenty steps from the Principal Jardin which is the heart of Pozos! 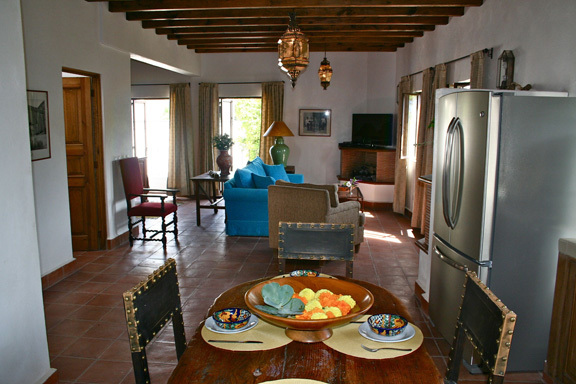 The spacious, open-plan residence is elegantly decorated with antiques and traditional Mexican furnishings and features beamed-ceilings, Moroccan-style chandeliers, and a large tiled bathroom. 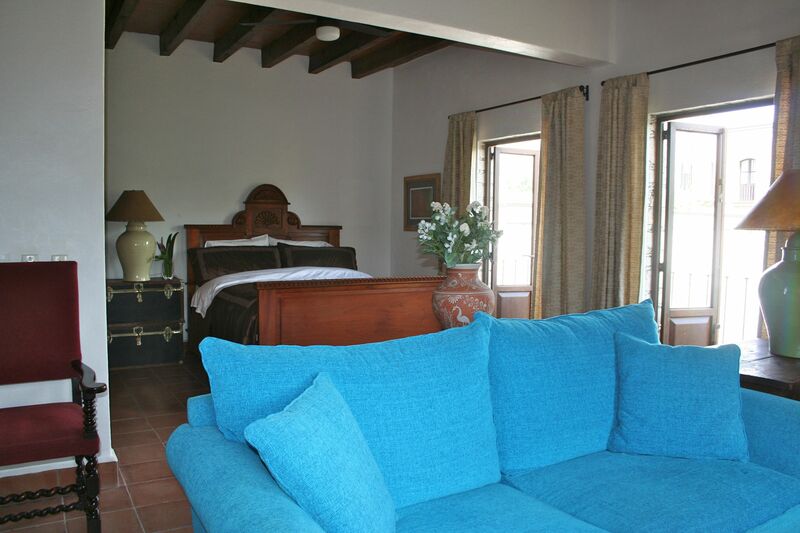 A queen-size bed plus a queen-size sofa bed can accommodate a maximum of 4 persons. Two gas-log fireplaces ensure you’ll be cozy during cool mountain nights. A furnished terrace overlooks the white-domed church and cobblestone streets, and provides the perfect place for your morning coffee or evening cocktail. 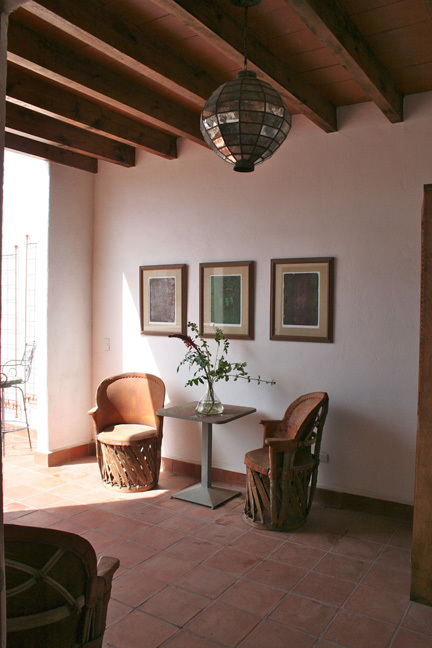 Another balcony offers views of some of Pozos’ iconic adobe ruins. 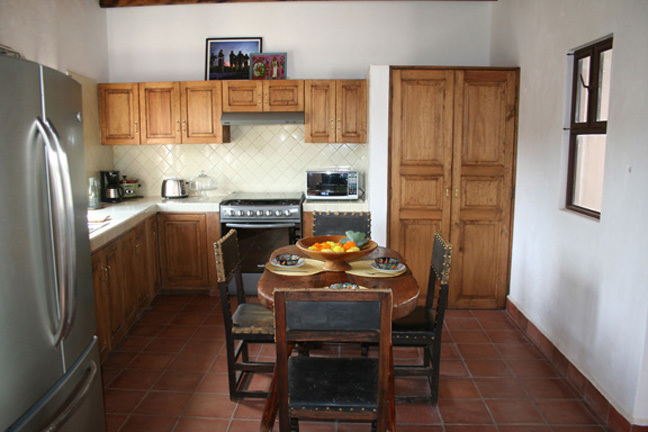 The casita comes equipped with ample closets, flat-screen satellite TV, WIFI, an eat-in kitchen with fridge/freezer, stove, and all the dishes and utensils you need for cooking during your stay. 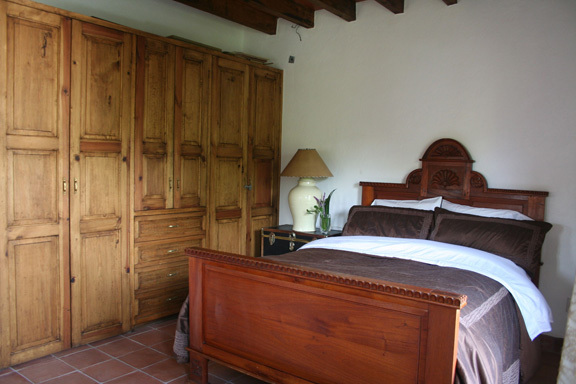 Laundry is available at $50 Pesos per load of wash.
Rates are $89 USD or equivalent pesos per night for two people: $15 USD or equivalent pesos each for up to two additional. Long-term rates on request. 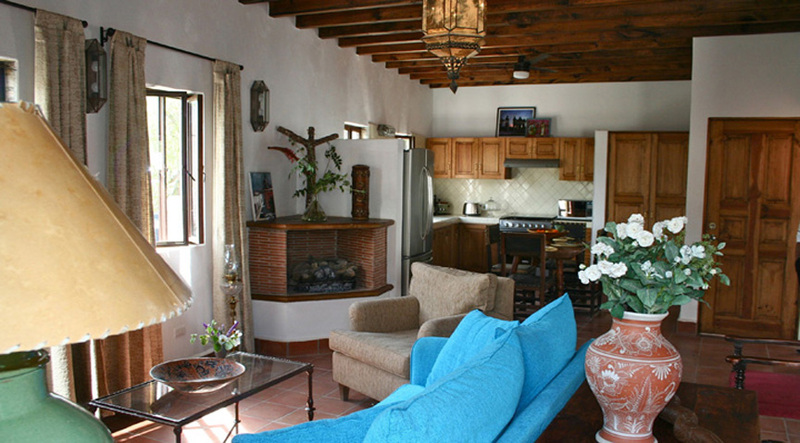 Fair warning: you’ll come to Pozos for a day or a weekend, and want to return for a month or even a lifetime!